Here is a little drama during mating season. The neat thing is that I sense a lot of respect and understanding between these coyotes — a respect and understanding that comes from affection, and also from a rigidly established hierarchy. In the photos, you see the male approach the female who has been observing the world go by in a very relaxed manner. Affection is often displayed between these two — kisses and nuzzling, often with the use of a paw, as here. Here, the affection begins no differently than usual: he puts his paw on her face and caresses her, nuzzling her affectionately. Then he shifts around and tries mounting. He gives it a try, but after a short time she breaks away from his hold, barring her teeth: the answer is “no.” She is not receptive to his advances at the moment. To emphasize her “no”, she then lifts herself and puts both her paws on his back and keeps them there in a display of dominance. When she walks away, thinking his advances are over, he runs after her — his intentions must have been obvious to her, because she now wraps her jaws around his, and he allows this. Her statement is stronger this time, and he accepts her command. There is clear communication between them. They continue hunting for a long time. Several times he became interested in her odor, and sniffed her intently, but he never tried mounting again during this observation. I have read that mating in coyotes actually makes them very vulnerable to dangers. The reason is that there is a “tie” which occurs which prevents them from separating for an extended period. If a predator or danger of any sort were to arise, they wouldn’t be able to do much about it. Please see the following post with a video I found on youtube which shows this. 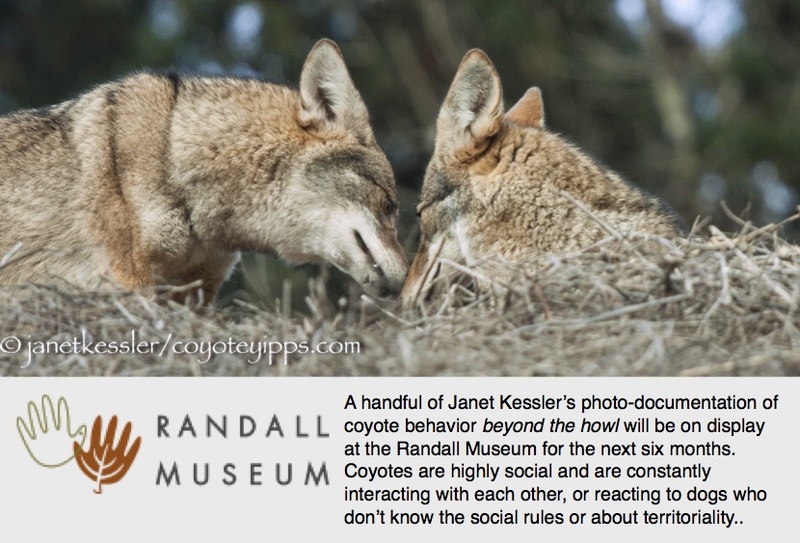 Great photos and explanation of this coyote affair!